1. Validate the contents of your research instrument. Aside from measuring the validity of the instrument, content validity can help you decide which items must be deleted, thus reducing the items in your questionnaire. Content validity can be done by the experts in that field that you are trying to investigate. But who are considered “experts?” These are the people who have doctorate degrees in that field and have practiced their profession for many years. Usually, a minimum of three persons must take a look at your instruments. 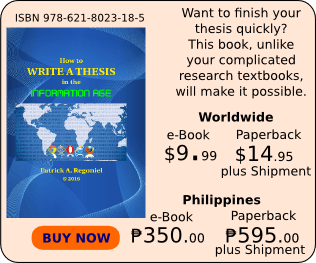 However, if your paper is towards fulfilling a master’s degree requirement and there is no one who has a PhD in that area, those who have master’s degree can be taken as experts. If master’s degree holders are still unavailable, the panel of examiners may allow you to avail the help of those who have been practicing their profession for not less than ten years as “experts” in that field. 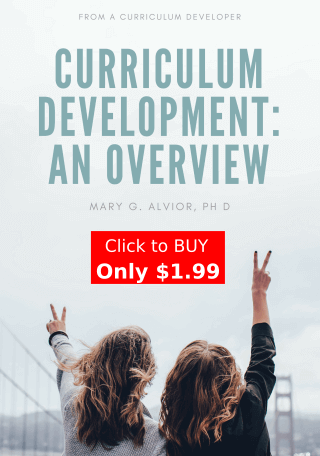 These people are knowledgeable as to the depth of the contents of the subject area that you want to investigate in and must be adept as to which items should be included to determine a particular variable (construct) and its sub-variable (sub-construct) in your study. They can also tell you which of the items from your questionnaire could be deleted. 2. Do factor analysis for data reduction. If you choose to do a factor analysis, this will help you determine the construct validity of your instrument and help you decide, with the help of your statistician, which items are to be culled out from your instrument. To know more on this, see What are the Psychometric Properties of a Research Instrument? 3. Have both content and construct validity. Having the two types of validity, I believe, will make your instrument better. As a researcher, you are the one to decide or with the help of your research adviser, which items must be deleted using the results of content and construct validity. Generally, instruments which underwent the content and face validity are much shorter and can give more accurate results than one which did not. Thus, this gives you more confidence in the interpretation of your data. When not designed properly, data obtained using the survey method is next to useless. Find out why. While a lot of information can be gained from surveys as it is easy to get large samples using the method, results should be taken with caution because of its inherent weaknesses. This is the reason data analysts do not treat data obtained from surveys in the same way as those obtained using other means, that is, those that do not rely on people’s opinions or subjective judgment. So what are the weaknesses of the survey method? Below is a list with brief explanations. There is really no guarantee about the truthfulness of the respondent’s answers. When dealing with sensitive or controversial issues, there is a tendency among interviewees to avoid answers that may be detrimental to their interests. They may not even answer the question at all. As the famous expression goes: “Do what I say, not what I do.” A considerable number of research on the relationship between attitude and behavior has demonstrated that there is no correlation between what people say they would do than their actual behavior. In a recent study in the United Kingdom, for example, 99% of people interviewed said they had washed their hands after using the toilet. The truth is, as revealed by electronic recording devices, only 32% of the men and 64% of the women actually did it. People know what is expected of them, pretend that they do it when actually they don’t. Some respondents are not really predisposed to answering questions especially if it involves answering a series of long questions. Similarly, the interviewer may not be very keen about the data collection. Interviewees tend to forget past events, places, or experiences. Their answers, therefore, are mainly estimates or rough approximations as their memory would allow them to recall those things. Would you rely on information recalled 20 years ago by a 60-year-old respondent? Of course not. Some interviewees answer the questionnaires to gain a favor. People answer what they believe the interviewer wants to hear. This threatens the validity of the answer. To get the most from using the survey method, particular attention must be given to the design of the questionnaires,selection of samples, and administration. For greater reliability and validity, other methodologies are applied to confirm the findings of a survey (see Triangulation).